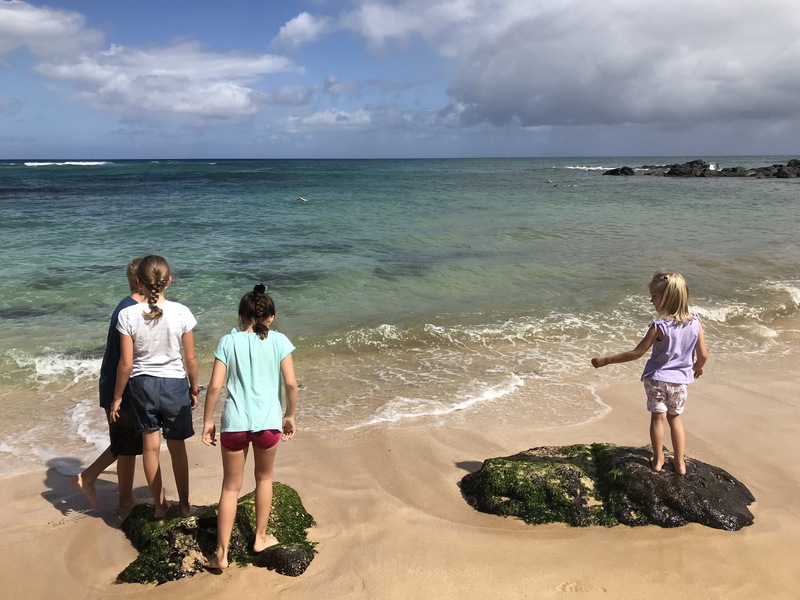 Summer is winding down and I’ve been busy wrapping up summer projects here and there and preparing for our 17th year of home education! Wow! Where does the time go? I thought I’d share a bit about a few of my summer projects! Interested? 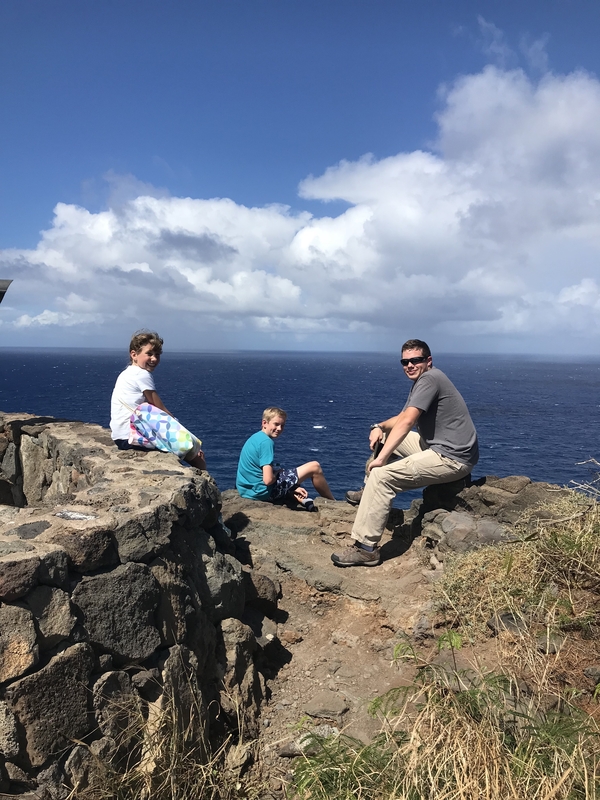 Makapu’u Lighthouse Trail – breathtaking! I spared you all 847 gazillion of my pictures. You’re welcome. But really. It’s just so beautiful! 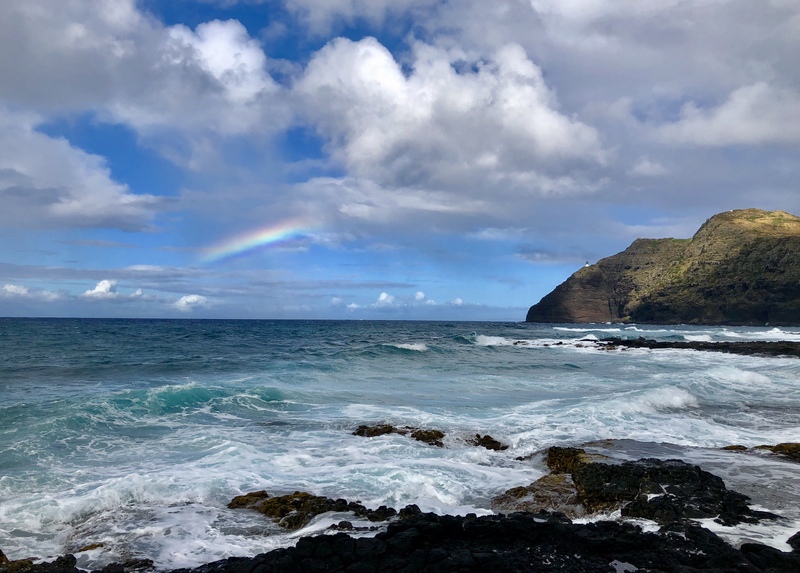 I fell in love with everything about Hawaii! 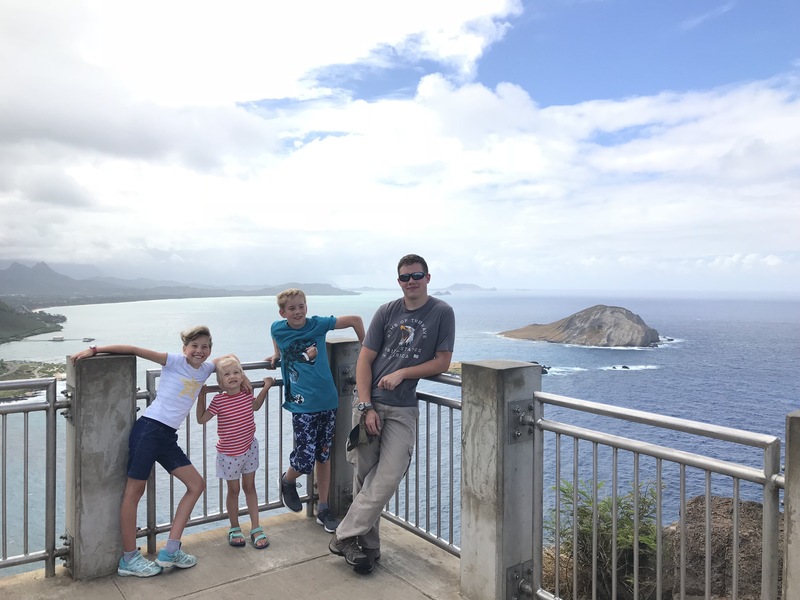 We were on the island of Oahu and stayed in Honolulu for a week! It was stunning. Hawaii, you took my breath away! 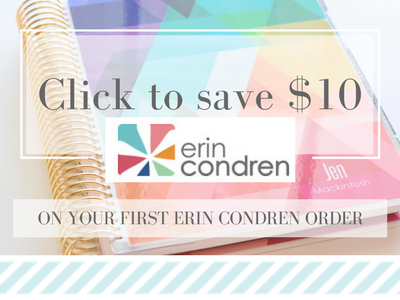 The Erin Condren retail store in Austin, TX is a store to experience! I’ve been there a few times, and every time I’m there, I see something new. The products are staged beautifully, and something about the store just pulls you in. It feels fresh and inspiring all at once – and you begin to see possibilities in every corner. 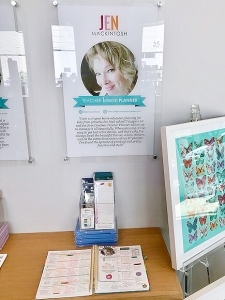 There is a display wall just as you walk in the store that presents a collection of popular Erin Condren planners (the Life Planner, a Wedding Planner, the Deluxe Monthly Planner, and the Teacher Planner) as well as a little about the person behind that planner. These are people in the planner community that share their planning ideas as a way of sharing and inspiring others. I loved seeing this wall when I visited the store! I count some of those people as friends! 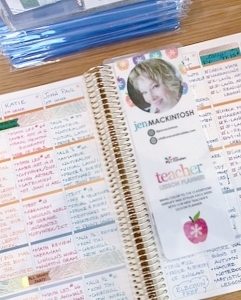 So, imagine my surprise and shock when I was asked if I would mock up a couple of Erin Condren Teacher Planners to be displayed at the store so that others shopping there could see how another educator might use the Teacher Planner! 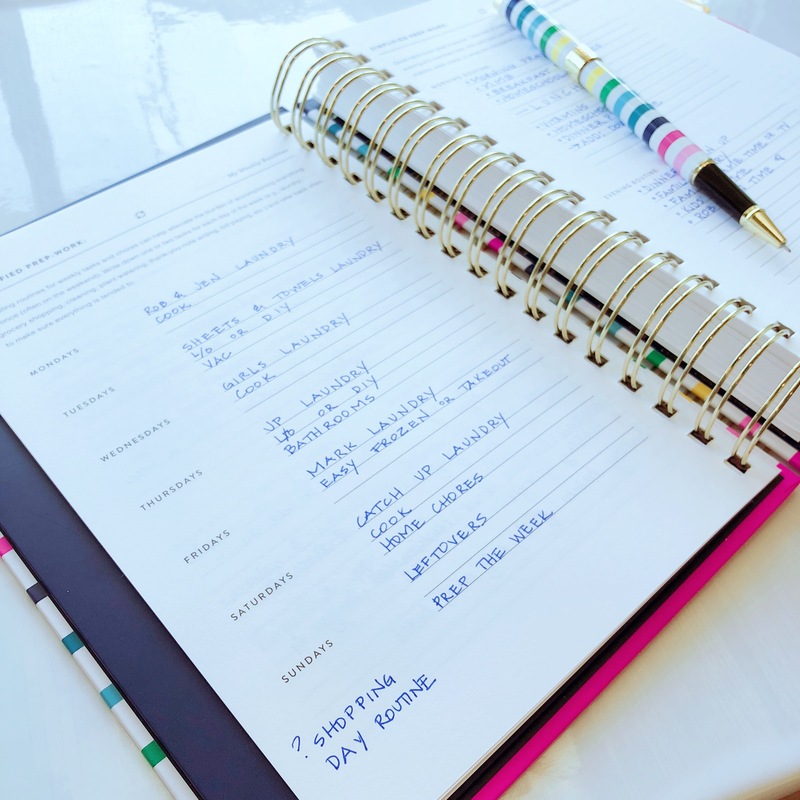 Seeing a blank planner is inspiring – such possibility. 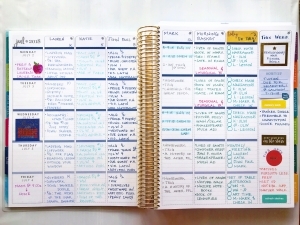 But seeing someone else’s planner, all filled out – that begins to really illuminate ideas! It’s a way of jump starting the visualization process. So…I jumped at the chance! 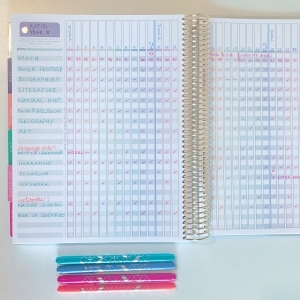 Let me know if you stop by the store and see my Teacher Planner there! 🙂 I’d love to know what you think! Our family room has, for some time now, had bookshelves that contain all the books I use from preschool through high school on the back wall of our family room. It isn’t by any means our only set of shelves! (I’ve got an entire library upstairs on the landing at the top of stairs!) But this set of shelving allows me to plan for and live out each year of our children’s education. The books are organized by grade and that makes it so easy to plan and find books! I’ve been saving for some time for nicer shelves (ours were wobbly…and ugly). 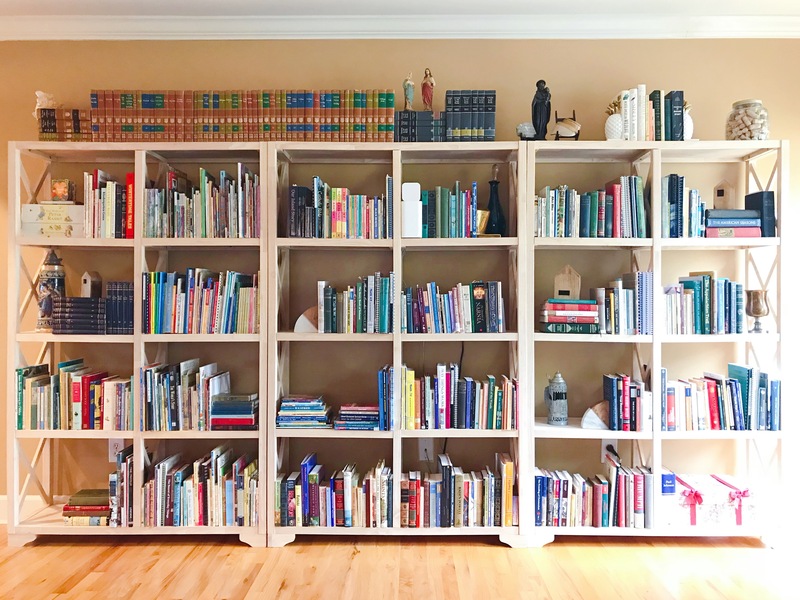 Our family room is on the north side of our home and at times, it can be dark, so I wanted open bookshelves that would allow as much light to pass through them as possible (a tall order!). I also wanted sturdy and all-wood! After all, they hold a lot of books! 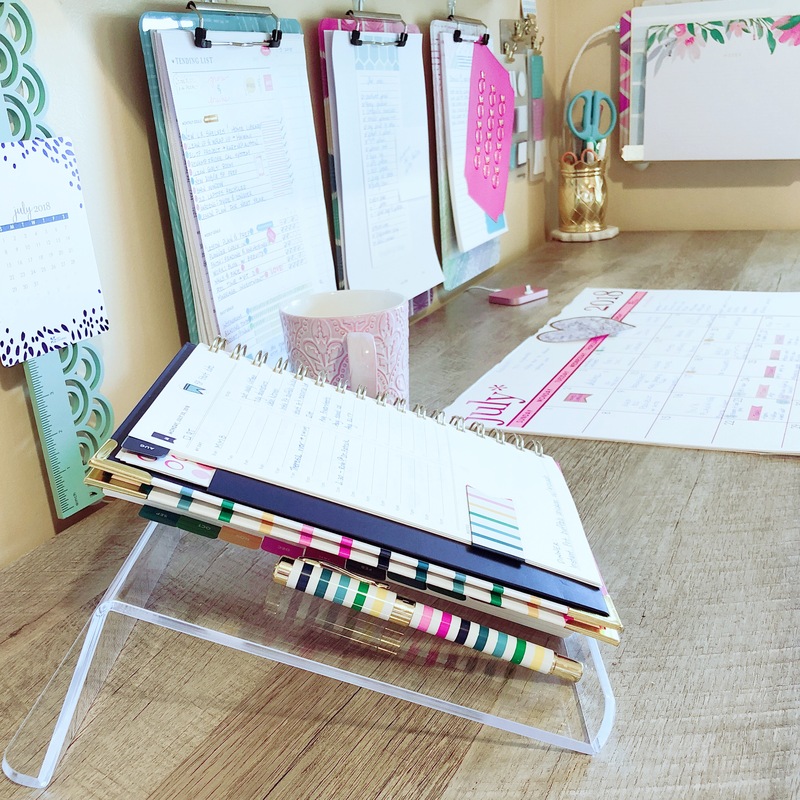 I found my shelves at Target online – I ordered 3 of the 8 shelf room dividers by International Concepts. These are unfinished. I couldn’t be happier with the end result! The sides are all open which allows so much more light through. That was a big project that I was so happy to check off! 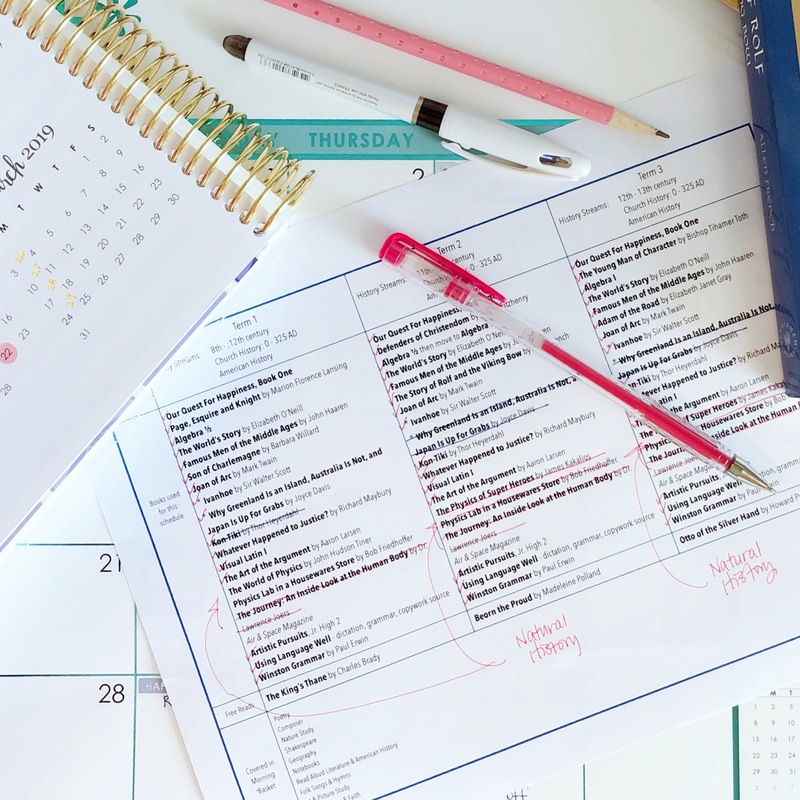 The new Academic Year Simplified Planners started on August 1 of this year, and as I mentioned in my review post, this year’s planners have a new set of Prep Work pages in the front. 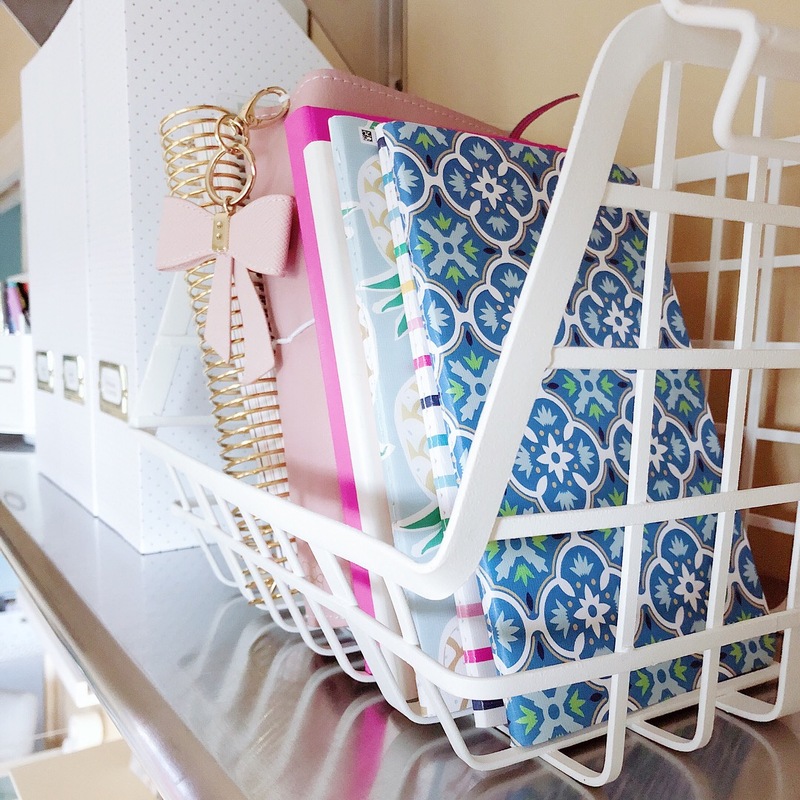 I found these so helpful to consider and brainstorm through as I set up my planner! Our morning routine really needed some reworking, and with one child now married and living in her own home, and another child who is basically done homeschooling and will spend his entire 12th grade year dual enrolled at the local college, I find the chemistry of our family once again shifting. It’s just like when we brought a new baby home – old routines didn’t work anymore – we had to find a new normal. And as we send older children out, the same principles apply – there is a new normal to settle into. And guess what? 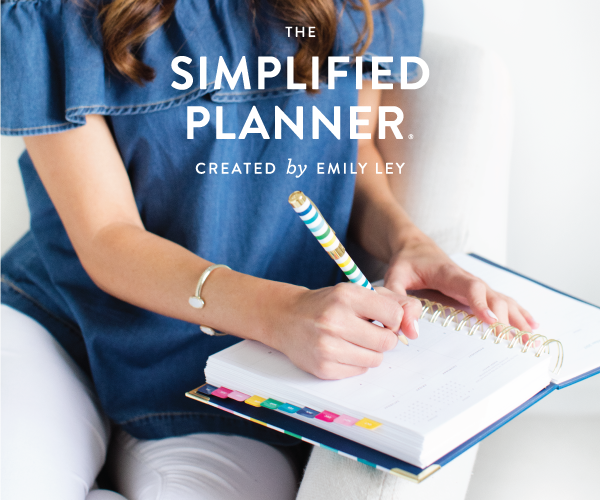 If you’re a calendar year planner, the new January – December 2019 Simplified Planners launch September 5, along with the Dapper Desk line! Be ready to shop – there’s a coupon for you on this post! 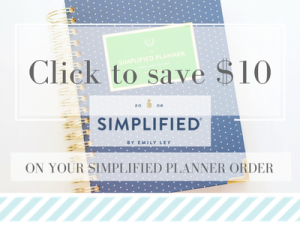 The Simplified Planner is one of those planners that, once sold out, is not restocked. So if you have your heart set on a particular cover – shop sooner rather than later. I’m just sayin’! 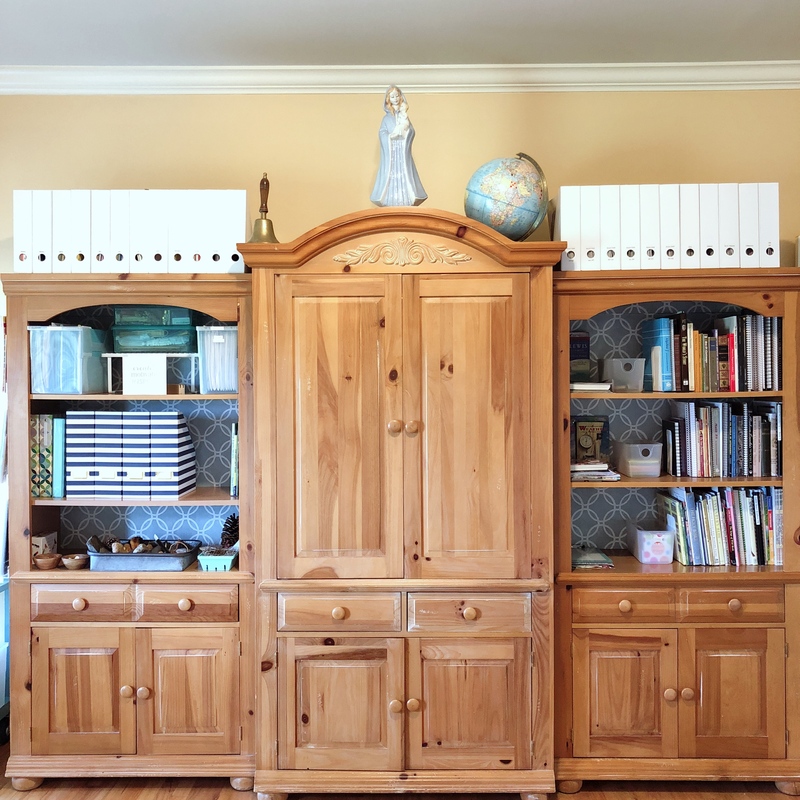 I remember…back when I was a young homeschool mom…ahem…it’s been awhile…Rita Munn used to say that you can’t put new wine in old wineskins – time to freshen the spaces! I really delight in freshening up our learning spaces. Children are growing and changing and there are new needs now taking the place of old routines. I spruced up our (thrifted a million gazillion years ago through Craigslist) learning room bookshelves with some peel and stick wallpaper in blue links! I love how something so simple gives an old piece of furniture a lift! And then I wrangled our booklists and schedules for the upcoming year. This year I’ve got a Kindergartener, a 5th grader, and an 8th grader! Technically, I have a 12th grader, too, but he only needs 2 credits to graduate and he’ll get those (and more) by enrolling full time at the local college where he will be able to dual enroll (meaning he gets both high school and college credit). 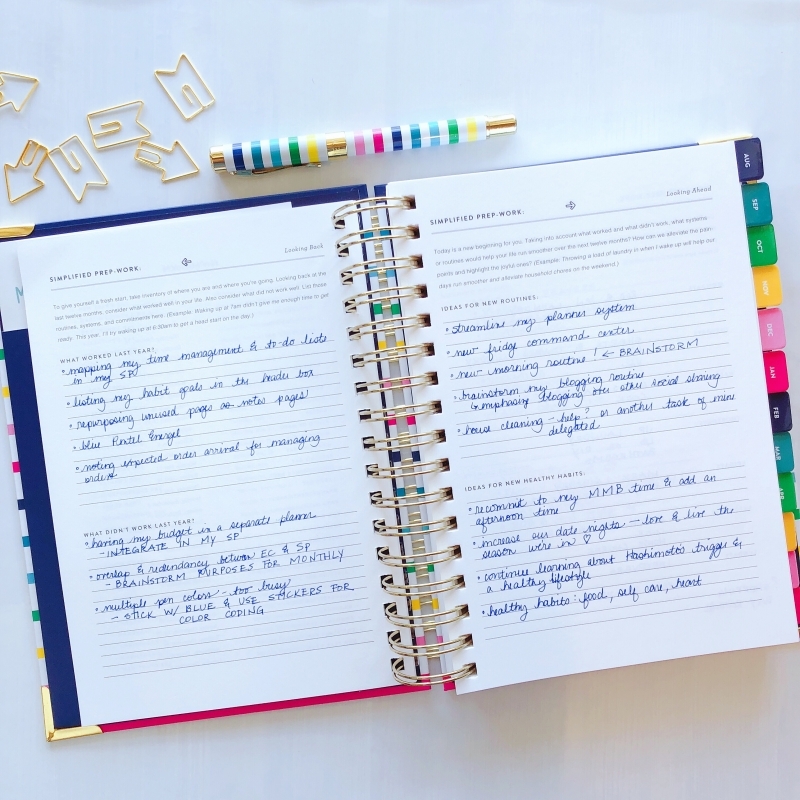 If you’d like to see our booklists and term plans for this year check out the Printables tab up there, then look under Home Education, and you’ll find the booklists and plans organized for you by grade. 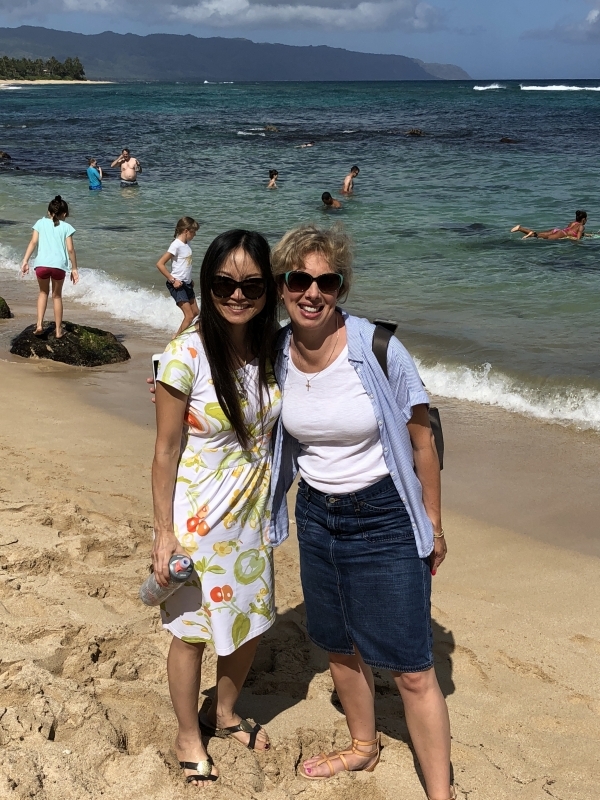 I’m speaking with Mary Ellen Barrett for another Homeschool Connections Webinar on August 17! Thank you so much for having me back, Homeschool Connections! Click below to go sign up for this free webinar! Beginning a fresh, new year can be daunting – there are schedules and books and things and little people and big people and what about our spouses – will there possibly be time somewhere in there to nurture marriage? Whether you’re still in the midst of considering your days, or you’re about to begin, I invite you to join us for the day! I’m going to be chatting with Mary Ellen Barrett about STEWARDING THE GIFT OF TIME and I’m so excited to share with you and answer some of your questions! 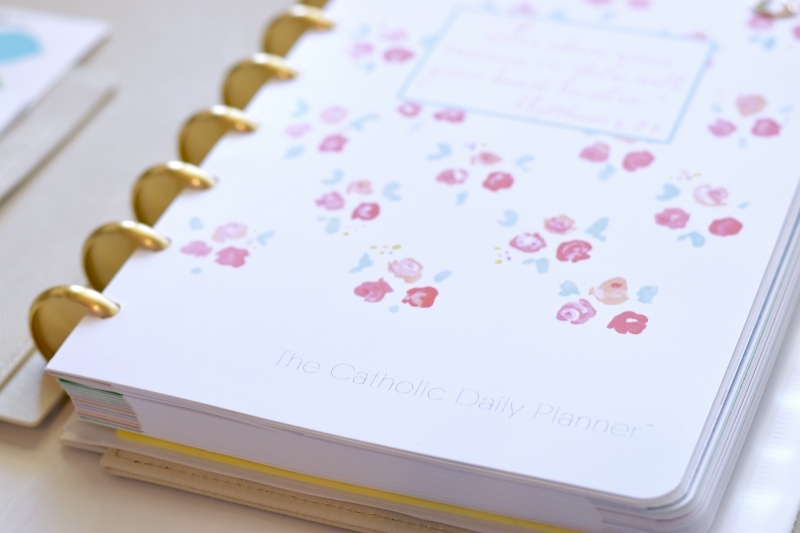 New Post: Reviewing The Catholic Daily Planner! Y’all don’t want to miss this post! There are some exciting surprises for you in it! Watch your inbox! It should land there soon! And that’s it. My busy summer officially ends today, and next Monday starts a whole new year! Here’s to new beginnings! Thank you for your posts. I feel like I always come away inspired. You are a step ahead of me in having a child married and out of the house, but it’s good learning from you how things change. 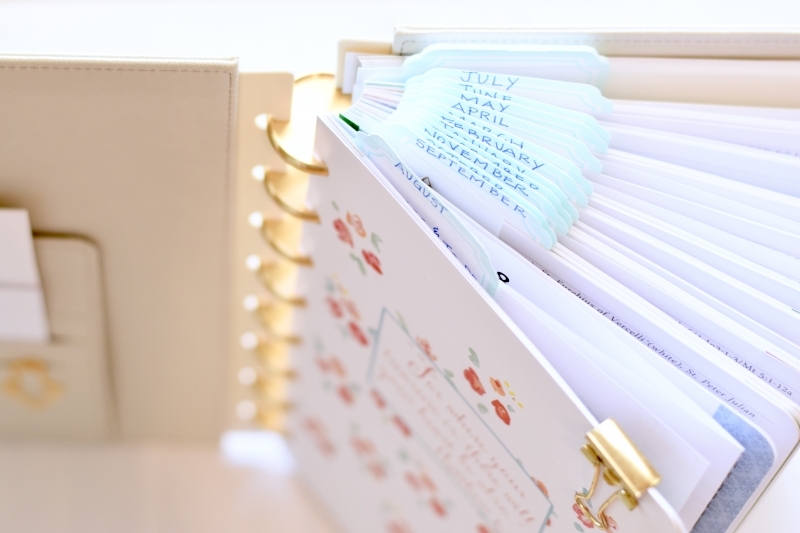 I really enjoy your planner reviews and hacks and I have benefited in many ways from your experience. It’s a busy life, but reading your blog is one of my little joys. Thanks for sharing! That’s so kind of you, and I’m grateful for your kind and encouraging words! 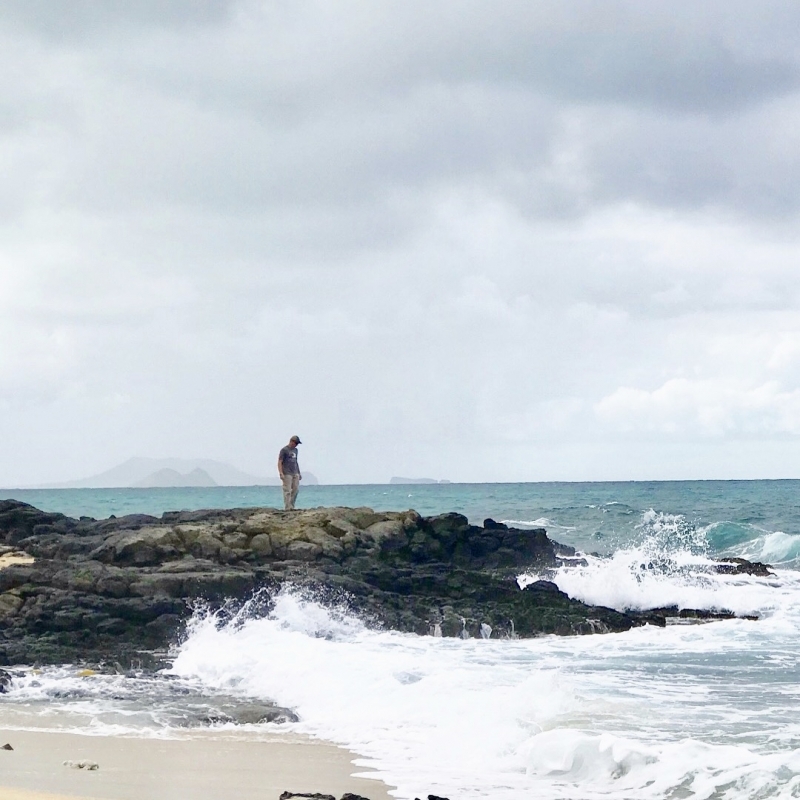 Life IS so full – and I’m grateful that this little corner of the web can bring joy and a few ideas your way! Deo gratias! That IS (!!) so exciting!! And thank you so much for your kind words! They’re so encouraging!